To describe Lucy Dodd’s work as magic is to capture the feeling of it but lose the truth. 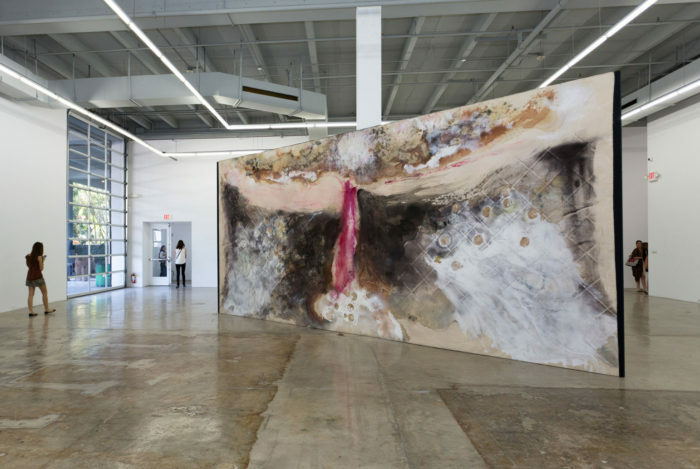 Her fluid gestures, strikes, drips, rubbings and performances are as intuitive as they are precise. Building outward from a material universe of her own creation, Dodd’s images operate between the abstract and the representational, like gods or avatars; physical bodies that make comprehensible the intangible attributes and mythologies that lurk behind them. On a winter visit to Dodd’s studio in upstate New York, I felt at peace among the many spirits, faces and characters that fill her life and work. 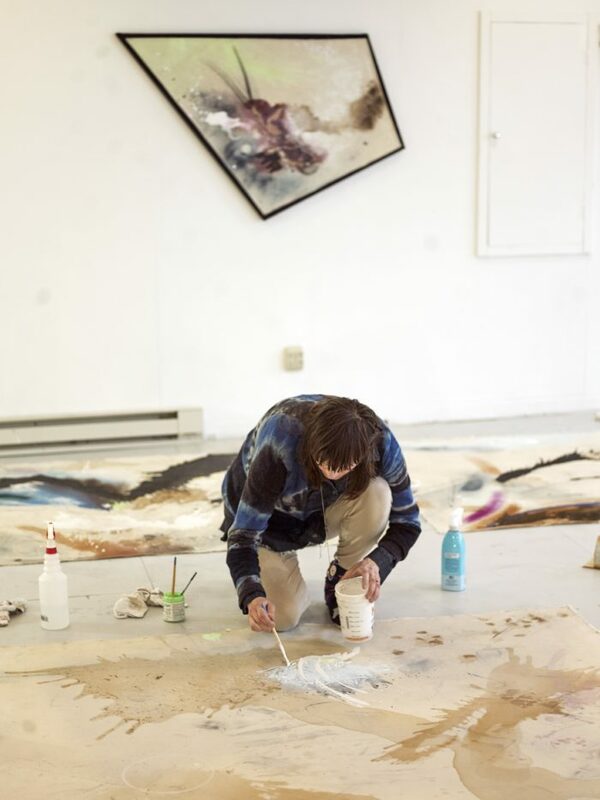 Her automat-turned-studio feels like a sanctuary, echoing the artist’s own generous energy. In February, things were very much alive inside. 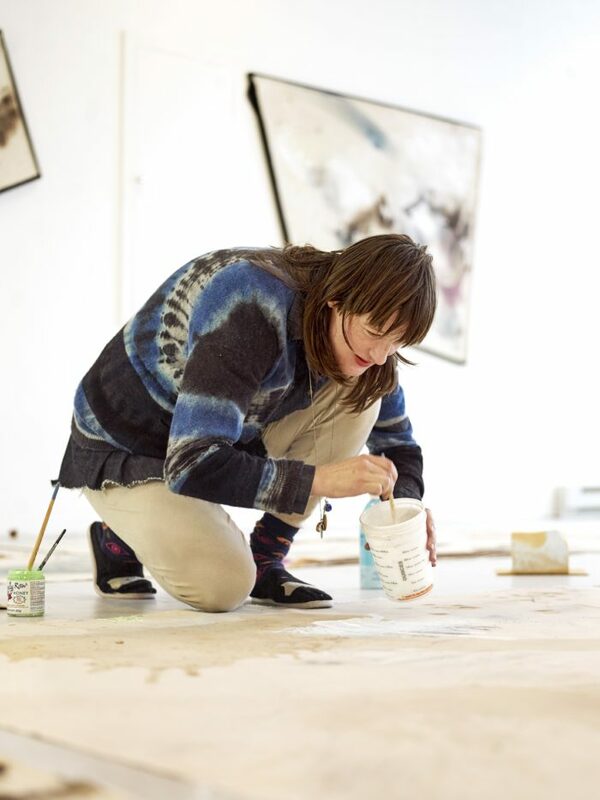 Dodd, eight months pregnant, was putting the finishing touches on a spring show with longtime friend and gallerist David Lewis, while simultaneously preparing for a fall show with Sprüth Magers in London. One would be hard-pressed to argue. When she was pregnant with Oneo, her first child, the artist produced a four-day exhibition for “Open Plan” at the Whitney Museum of American Art and a three-story solo show for The Power Station in Dallas. The paintings in “May Flower” contain ingredients synonymous with spring: tulips, yew berries and harebells, but their subject matter isn’t simply the symbolic or material value of the ingredients nor the abstract compositions they create. These components combine to serve the realm of the porcupine, a protector Dodd associates with the instincts of motherhood. Of course, in Dodd’s world, quills act not only as a passive suit of armor but as divine antennae soaking up and radiating the energies of the earth and stars. Dodd’s Guernika, 2014. Courtesy of the artist and David Lewis, New York. The porcupine follows in the footsteps of an entire menagerie of animal alter egos, muses and shamans Dodd has developed over the years. The birth of several of these can be traced through the artist’s first and, for now, only monograph, “The Genesis of A Painting,” which acts as a kind of codex for Dodd’s last three years of work. 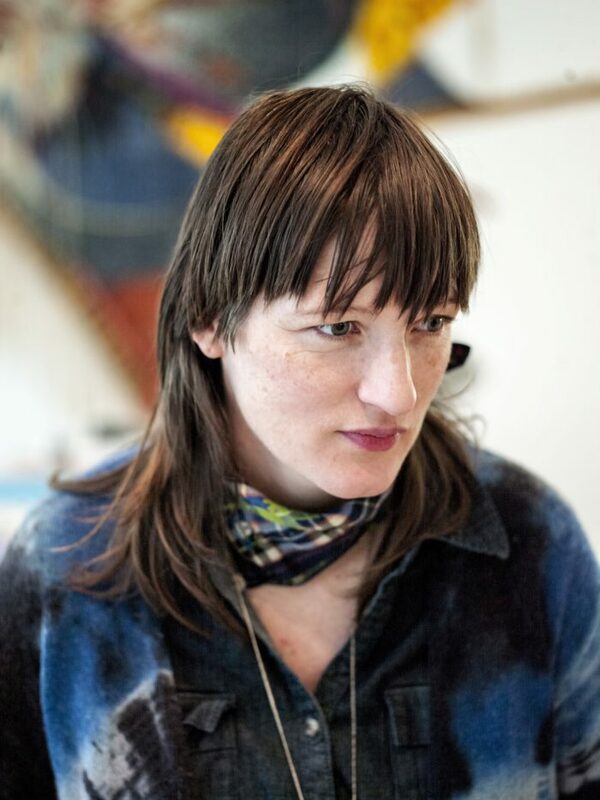 Some of Dodd’s formative collaborations can be traced back to Wonder Valley, California, where she lived with artist Jason Rhoades before his unexpected death in 2006. Working with Rhoades to realize large-scale installation projects like The Plexiglas House (2006), Dodd began integrating performance and architectural interventions to create holistic environments that generated their own narratives and pointed back to the performative quality of the artist studio as well as the everyday. In this way, Dodd’s work can be seen as an act of living science fiction or fantasy. Each chapter of her hero’s journey revealing another facet, kingdom, species, of a world parallel to our own.